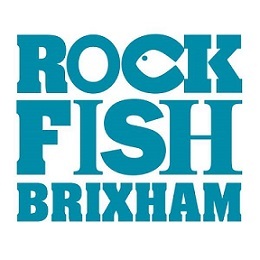 We really enjoyed our visit to Brixham Rockfish your staff were very helpful , friendly and attentive . Excellent food. A lovely ambience. Very good service. A must visit restaurant should you visit us in the South West. Always love our trips to Rockfish and our first to Brixham did not disappoint. Service was excellent and food was beautifully cooked. Would definitely recommend. Really enjoyed our meal - despite being really busy the staff were very helpful and friendly and the cod in (gluten free) batter tasted even better than usual. The batter was tasty in its own right not just something to cover the fish in. Great service from both Izzy and the manager. Despite us arriving half an hour early, we were found a lovely table on the terrace. Even more impressive as we brought our two rather large Greyhounds with us both welcomed with fresh water. Been here many tines and will keep coming back. I didn’t appreciate the attitude of the guy at the desk when we arrived - the area of the restaurant I had requested was not available even though I booked a few weeks ago. He said well it’s only a request and there is no available seating so that’s it really. The very pregnant waitress was absolutely excellent. The meal was good although now there is no coleslaw on the menu at all and no soft shell crab. My previous feedback was not responded to re an awfully smoky atmosphere from the faulty wood burning stove in December. We waited 30+ minutes for our table. Service was terribly slow, for both drinks and food, lots of dishes were unavailable and at 10pm we were still waiting for dessert, (our reservation was for 8.30pm ( we arrived at 8.35pm) in the end we were so tired we left without dessert. So sad as Very few other restaurants offer such a good range of dishes to coeliacs. As always lovely food, great service, and the added bonus was having a table outside watching the fishing boats come in with fresh fish that will be soon be on your plate. Even on one of your busiest days the team were happy and welcoming and food was as amazing as usual. Thank you. Fresh fish but small portions and quite expensive. Excellent food and service, with a nice atmosphere and the resident seal in the harbour adds a nice touch for young children. Superb food, view and atmosphere. Hate to say anything negative but by the time the ‘extra’ chips arrived the fish was cold, so if you offer unlimited chips it would be nice if they arrived faster than 15minutes after asking for them. It took 30 minutes for our order to be taken after arrival. We accepted the waiter’s apologies and offer of free drinks. The adult meals were served 1 hour 45 minutes after we arrived. Given that you (in theory) wanted the table back after 2 hours, this was appalling. Although it was helpful that the children’s meals were served earlier, they had finished before we had started and were pretty bored and restless when we waited. The food was good but the service was dreadful. It really wasn’t all that busy. We’re unlikely to come back. Sorry for slightly negative feedback. We had to wait (and ask) for our drinks order to be delivered. We waited over 20 mins for drinks. Did not seem like restaurant was full either! Disappointed when items on the menu were unavailable. Appreciate it is based upon the catch etc... but waitress could have let us know, before we placed our order. There was some swearing in the kitchen and the chef did tell the staff member to stop. Not normally an issue for us, but our autistic daughter becomes anxious when she hears swearing. She was sat nearest the kitchen! So it did cause an issue. Asked waitress for VAT receipt once paid and then she went to serve another table!! So we left!! Had a great visit again, staff friendly and helpful. Would recommend booking though before going. Fish and chips light & idea for gluten free eaters. I forgot to collect my rockfish reward stamp & could have done with a reminder.